In case you didn’t already know this, Fedoralady is a sucker for animals. I grew up on a farm surrounded by critters, from cows and pigs and chickens to the dogs and cats who patrolled the property. When I married, Benny and I started adopting pets–and we’ve never stopped. We will celebrate our 30th anniversary in June, and in that time we’ve shared our homes and properties with Smokie, Ginger and Mary Ann, Thumper, Lucky, Puddin,’ Callie, Scarlett, Rascal I and II, Daisy, Junior, Seabee, Greedy, Teeny Weeny, Tom, Cheeto . . . well, you get the idea. Some were adopted from a shelter or humane society; others came to us via a good Samaritan or simply showed up on our doorsteps. Did we choose them–or did they choose us? I’ve never been completely certain. Right now, I’ve got Scarlett, who once resided in the city animal shelter, bathing on my legs. Callie, formerly a semi-feral kitten roaming the nearby woods, is roosting happily on my shoulder and chest. They are beautiful, bright, very spoiled and very much adored. Our beautiful Rascal, who was part of a litter of puppies abandoned on the side of the road in a neighboring county. All of the photos in this post, with exception of Second Chance collage, are my own work. 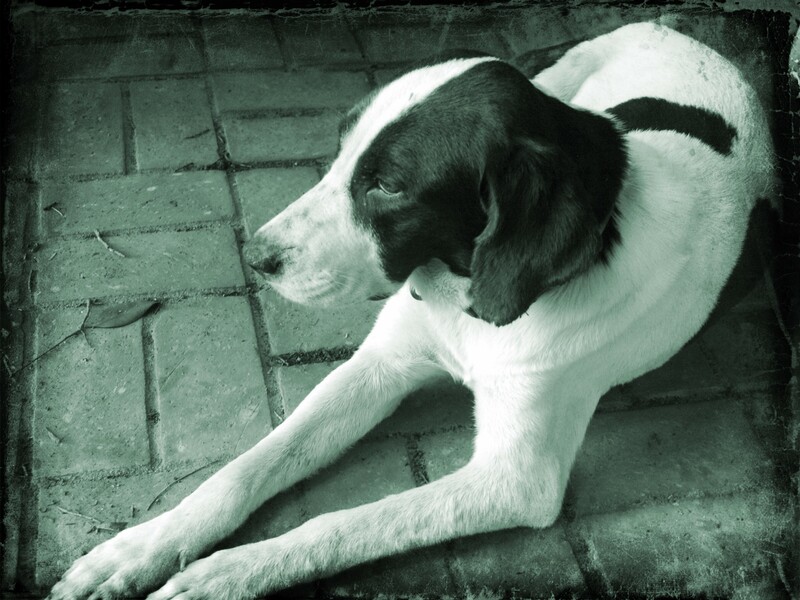 Pets have brought a lot to our lives–love, affection, friendship and companionship. Laughter. Snuggles. Fun. For some people, the love of a pet is the only unconditional love they will experience. I hate seeing animals who are healthy and adoptable being euthanized. It seems like such a horrible waste. 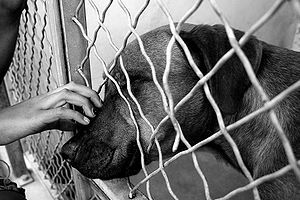 In my part of the country, sadly, there is a greater supply of dogs and cats than there is a demand to adopt them. That means some animals end up being put down. However, the number being euthanized at the Greenville Animal Shelter has dropped in the past two years by 83 percent. How have we done this? Lots of work on the part of our wonderful animal control officers, Kristi and Christy along with our Butler County Humane Society and its Second Chance Rescue, which is a no-kill facility operated by my cousin by marriage, Kandys. The shelter and humane society work together with reputable animal rescues around the country to find homes for the homeless critters of Butler County. Here are Kandys and Tommy, who is one of her hard-working assistants at Second Chance Rescue. These people have hearts of gold. Obviously, we can’t save them all, but we strive to save as many animals as possible. As one of our members pointed out, all this takes love and money. We truly do have big hearts, but we live in a largely rural county that is far from wealthy. We seek assistance through corporate grants and donations from caring supporters from near and far. 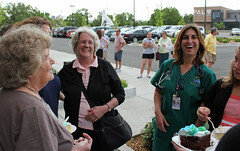 We also hold several fundraisers each year. And we ain’t too proud to beg! 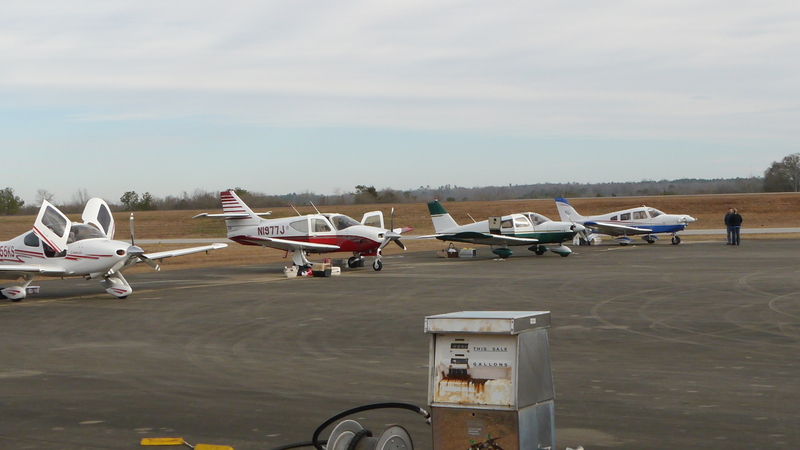 Four of the fifteen private planes that were a part of the “Great Sunshine Fly-In” in January 2015 that transported more than 200 felines and canines from the Greenville Airport to various parts of Florida where new homes awaited them. 😀 The Butler County Humane Society sponsored the event and the Greenville Animal Shelter helped coordinate it. 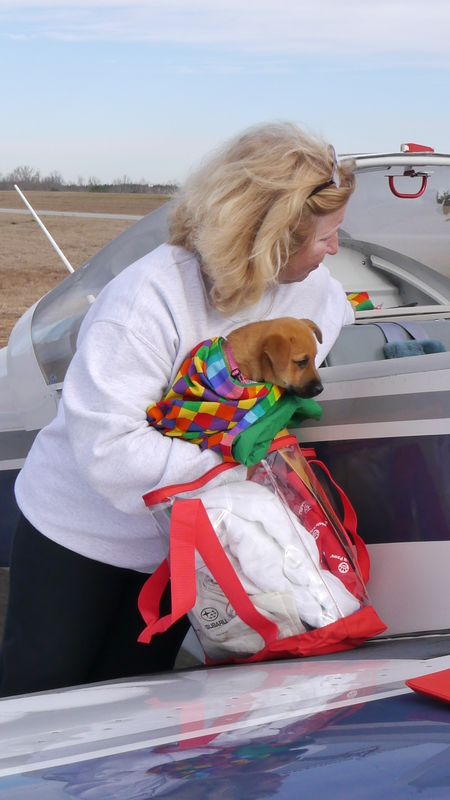 One of the Pilots n’ Paws volunteers with a precious pup who will be flown to a fur-ever home in Florida. So here’s the deal. 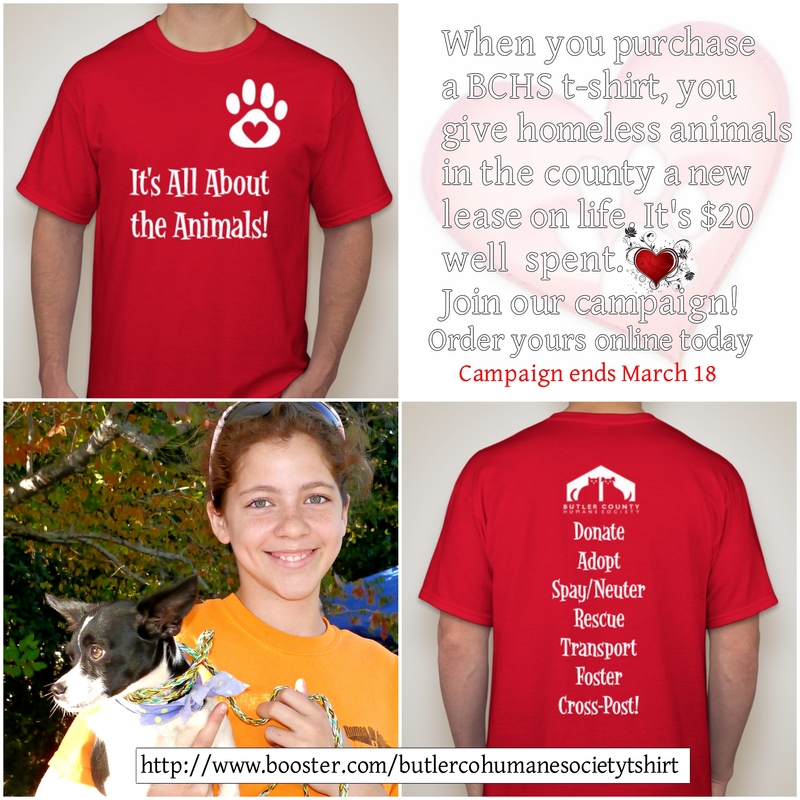 Take a look at the Booster.com campaign. Consider making a small donation online via PayPal or major credit or debit card, or buying a shirt to donate as a prize for one of our fundraising events, such as bi-annual Bark in the Park. The campaign ends March 18 and we are currently one-third of our way to selling 75 shirts. 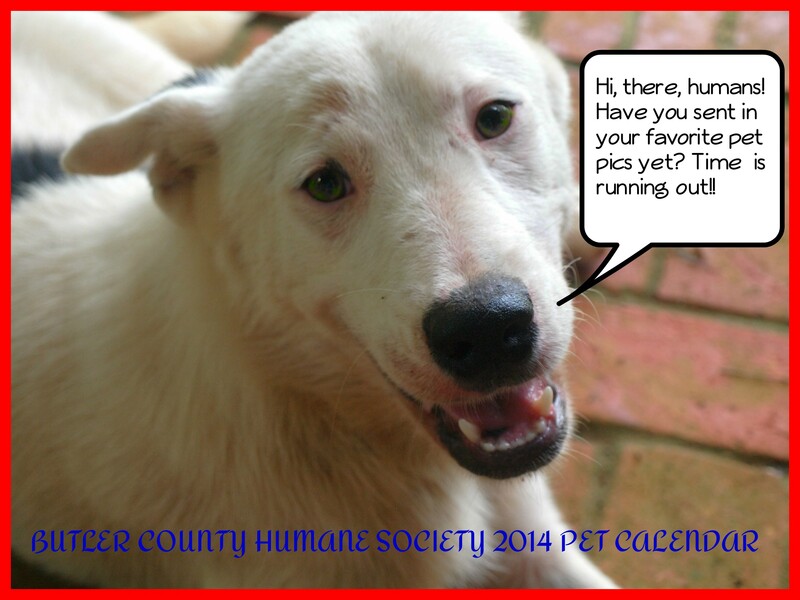 Check out pages from our calendar! Make a date to help homeless pets. Me-owy Christmas and a Dog-Gone Happy New Year to you all! 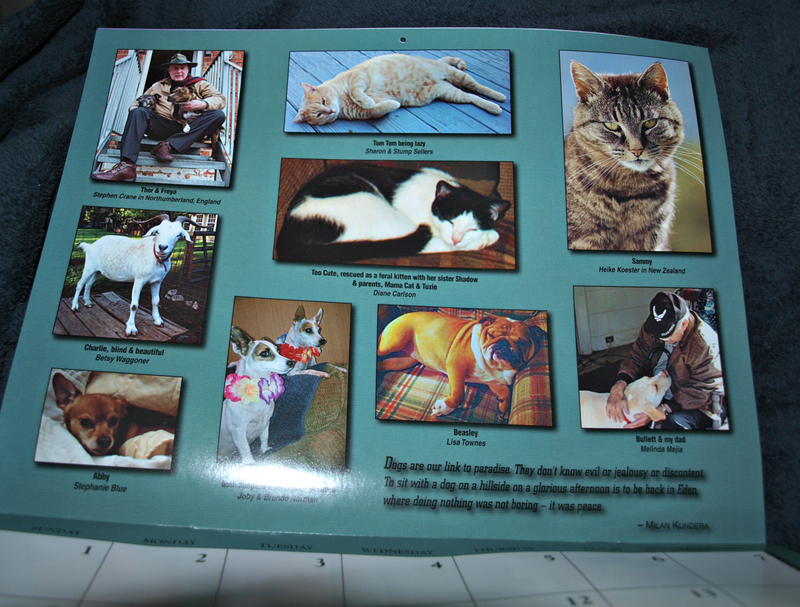 Several of you out there in the RA fandom supported our Butler County Humane Society and its 2014 Pet Calendar with your generous donations and your pet photo entries. I only recently purchased my own copy and tonight I downloaded some photos I took of some of the pages, which I want to share with you. Sorry I didn’t manage to do this sooner! Nadia, your copy will be heading towards Belgium next week. 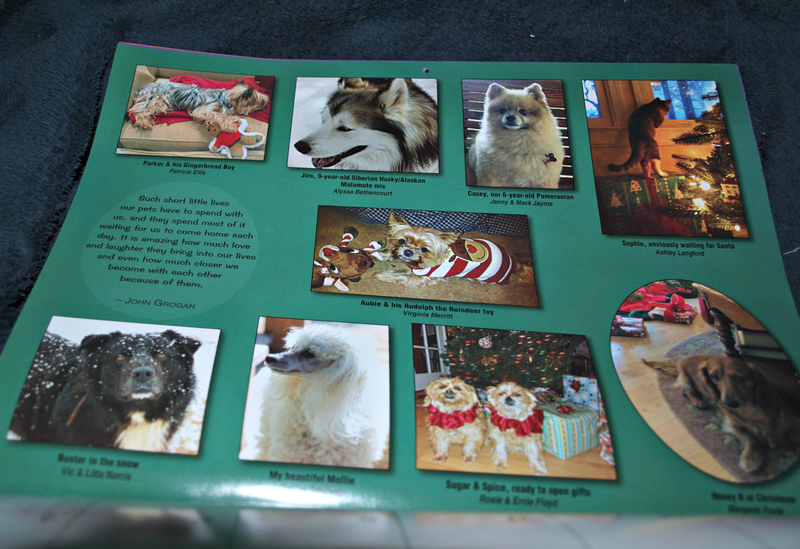 If you look closely, you will see pet photos submitted by Perry, Alyssa, Sebastian and Heike along with yours truly featured on pages from the calendar. 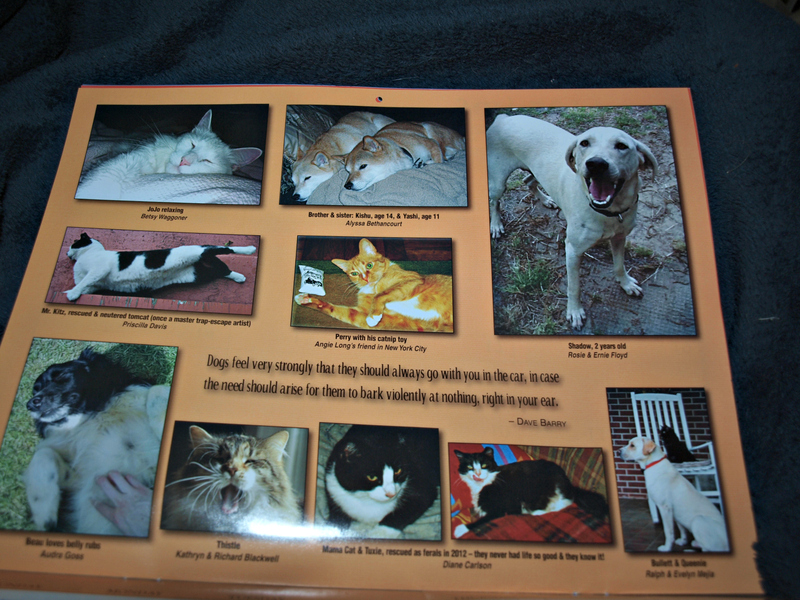 In fact, almost everyone has more than one photo of their precious canines or felines found within. 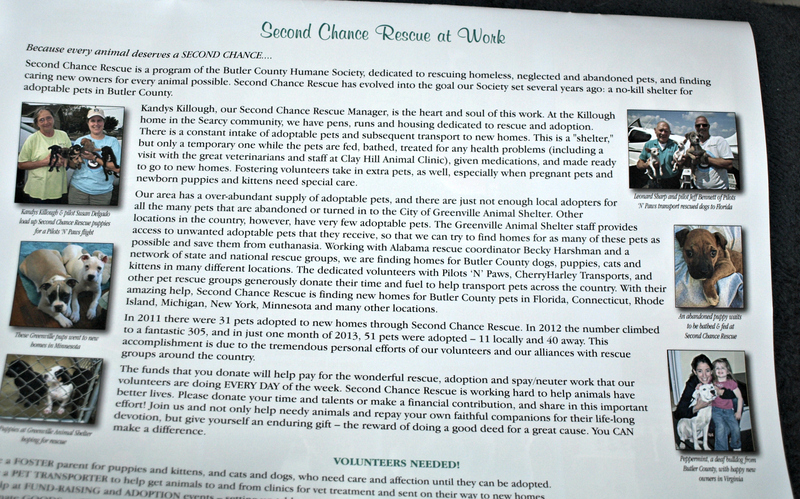 Here’s some info on our wonderful Second Chance Rescue run by my cousin by marriage, Kandys. Kandys and her helpers, foster parents and rescue volunteers do a phenomenal job helping make a difference in the lives of animals in our rural county. Payments can be made through the donation button here at the site. Indicate the donation is for “pet calendar.” We can also accept checks from here in the U.S. made out to “BCHS” and mailed to Butler County Humane Society, P.O. Bx 264, Greenville, AL 36037. I’d like to point out that Richard Armitage (in the guise of Plush Thorin) even made it into this calendar . . . and I should also point out Thumper is a “she” and not a “he.” But she’s across the rainbow bridge now, so she doesn’t mind. OT: Pet Calendars to Printers. Do you want any? Just to update those of you have followed along on my quest to support our Butler County Humane Society: the 2014 edition of our pet calendar has gone to the printers in Montgomery and is *supposed* to be back by the 25th, if not a couple of days earlier. Herbert, our president, asked me to count heads as far as the number of calendars needing shipping out to out-of-area and international animal lovers. Then I can get back to you with costs for shipping (and I will need to collect physical addresses). To be perfectly honest, our operational expenses are currently exceeding our organization’s income and it’s a struggle to pay our bills with the local vet, the Montgomery spay/neuter clinic and the veterinary supply company. Thankfully they are patient. We are pursuing grants and I am trying to organize two more fundraisers before the end of this year. But the financial forecast is distinctly gloomy. A few years ago we were lucky if we adopted out a dozen dogs a year, saved from being put to sleep at our city/county shelter. 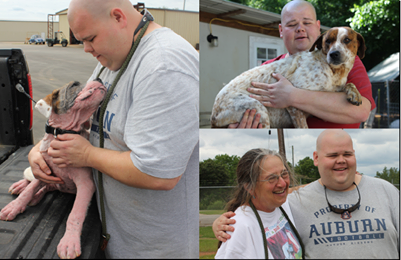 Today, in additional to local adoptions, our Second Chance Rescue Operation averages sending 40-50 animals a MONTH to new homes through partnerships with rescue groups across the eastern US. We are a small-town operation doing big things, worthwhile work that is making us part of a documentary being filmed right now! But it all comes at a price. We need every dollar we can raise. Thanks again, and if you can’t afford to support us through calendar purchases, please just grant us your positive vibes and prayers. It’s been a strange week. On top of the FMS I happen to have a low-grade chronic form of mono–nothing “catching,” just a nuisance that rears its exhausting little head from time to time when I am under a lot of stress. Benny’s illness did just that–stressed me out. He’s been to the doctor, he’s taking the antibiotics and seems to be slowly improving. Thank goodness! I still have trouble sleeping at night and the last couple of days I’ve fallen asleep in the afternoon and slept until 9 or 10 p.m. I do actually seem to rest fairly well during those hours, but I am still worn out. Hence not a lot done around here. The Dishwashing Fairy better put in an appearance tomorrow, spouse informed me. I’ve been busy with the Humane Society, scheduling spay/neuter surgeries, and trying to promote what we do and our calendar photo project (“Send in those photos, ladies and gents. 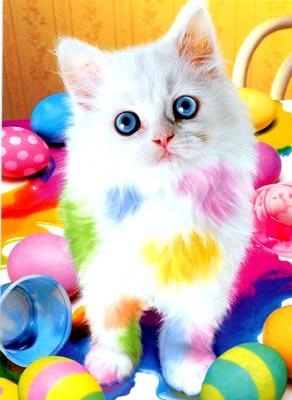 The pet calendar is going international”) via FB (See link below). Now attempting to untangle the organization’s website, which has been long neglected–honestly, I think it might be easier if I started all over again from scratch! Also doing some work for Pecan Ridge, researching photo package prices for an event we hope to cover in mid-October in Tuscaloosa for my friend Naomi and her family. And I need to work on a wedding music video (or as Benny calls it, “musical montage”) for the Harrells. But I only get so much done before . . .
We finally got a decent amount of sunshine today, which really did lift my spirits. So much so I had to go out for a walk, even though the knees were balky. My hair was clean and fluffy and I had my favorite crushable hat on and yes, for a little while, I was feeling pretty good. Ya gotta grab for those feelings while they are out there, or so I have learned. And now the stormy weather is back, thundering all around and my poor old knees aren’t the least bit happy. Very tired again. Maybe I will sleep some tonight. 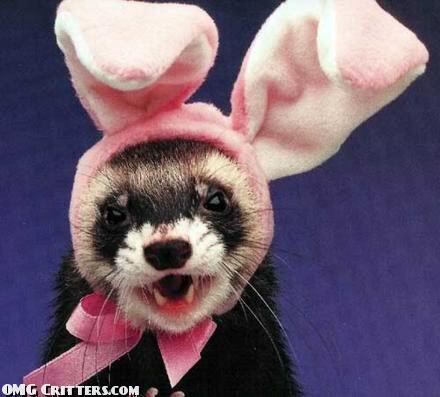 Anyway, sorry for being a bit absent from things RA. Maybe I will be able to make it up to you later . . . or perhaps, even a bit now. 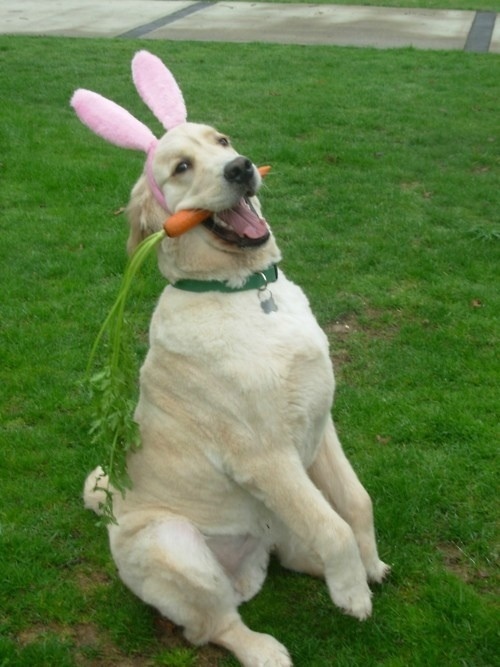 Send in those pet photos, ladies & gents. The pet calendar is going international. 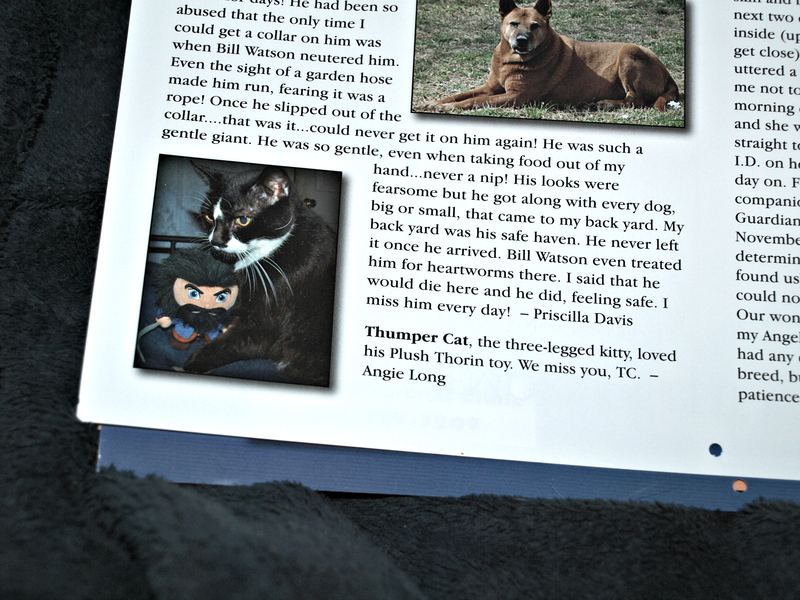 You all know how much my pets and animal welfare in general means to me. I hope you all know how much YOU mean to me as well, my multi-national band of clever, witty, kind, generous and beautiful sisters (and brothers!) who also admire Mr. Armitage and his many fine qualities. Richard Armitage sets a good example by supporting charitable endeavors and so do I. And working with the BCHS’s fundraising projects as its new PR chair is one of the ways I do that! I FINALLY have control over the Butler County Humane Society website and I will be giving it an overhaul (hasn’t been updated in ages, it appears) and while I am still waiting on the banking information, there will be a PayPal donation site on it soon. Not worrying about entry fees or donations right now as much as PHOTOS. We need them. People around these here parts have a bad habit of procrastinating on such matters. We are now getting entries online and via snail mail, but we need many more. 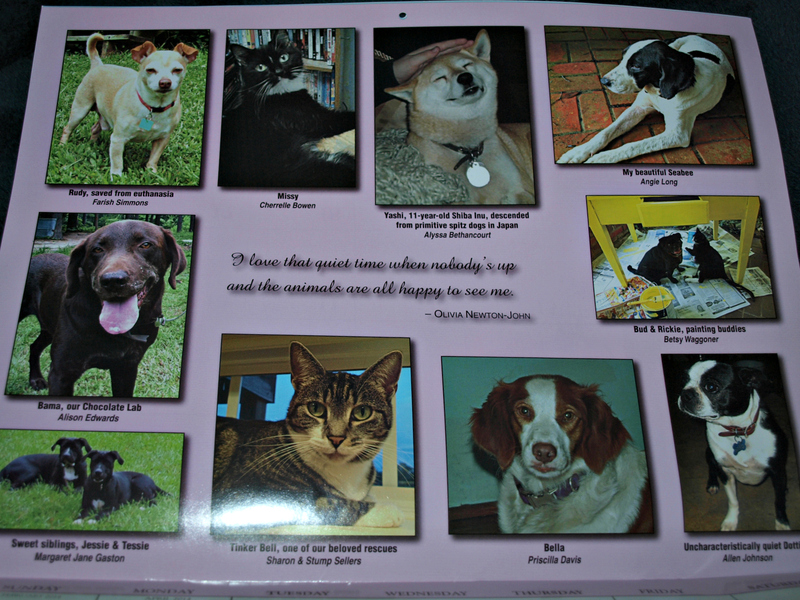 Our calendars are designed with photo collage pages rather than a single pet featured per page. That means more pets get featured and there are more beautiful, funny and cute photos for us all to enjoy and “oooh” and “ahhhh” over and more reasons for more folks to purchase them for themselves and as gifts for friends and family. And of course, the more entries ultimately means more funds raised. More funds to help more homeless animals in our county, many of which are transported through animal rescue groups to new homes in the Northeast and in Florida. It’s a win-win situation!! If you have pet photos, old or current, of pets from past or present that you want to share, please send them to me at angie.longATcenturytel.net and copy to butlercountyhumanesociety@gmail.com This will help me keep track of your participation. 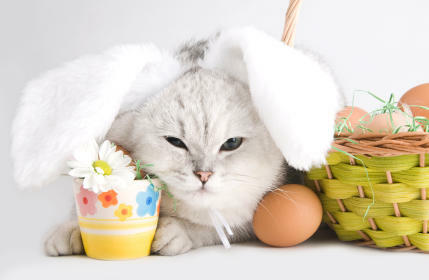 Please share a caption about your animal as well–name, age, breed, something about personality. We DO have a Memorial Page, for which I am contributing photos of two of my pets, Ginger and Thumper. If you wish to go ahead and pay your entry fee ($5.50 per photo entered) you may do so now by using the Comic-Con button on this site and indicating the payment is for “pet calendar photos.” Any payments made to my PayPal account will be transferred to the BCHS. Those of you who live here in the U.S. may also wish to send your payment by a check made payable to “Butler County Humane Society” to: Butler County Humane Society, P.O. Box 264, Greenville AL 36037. And because it’s Whoa Wednesday, here’s a little whoaaa for you courtesy of Mr. A, who thinks it’s such a great idea he’s overcome with the need to remove his clothes and get into a clinch with someone. Ladies, line forms to the left . 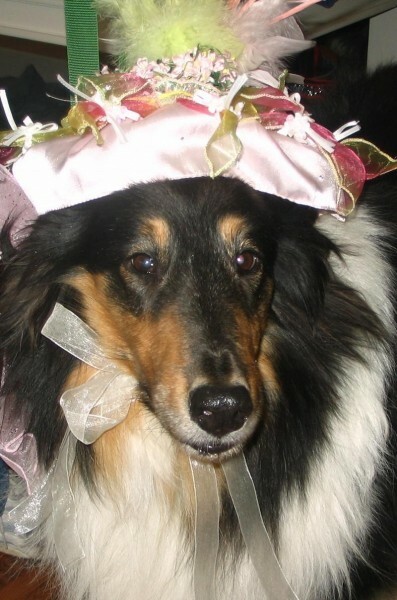 . .
Ebbie Lou looks gorgeous in her Easter bonnet. 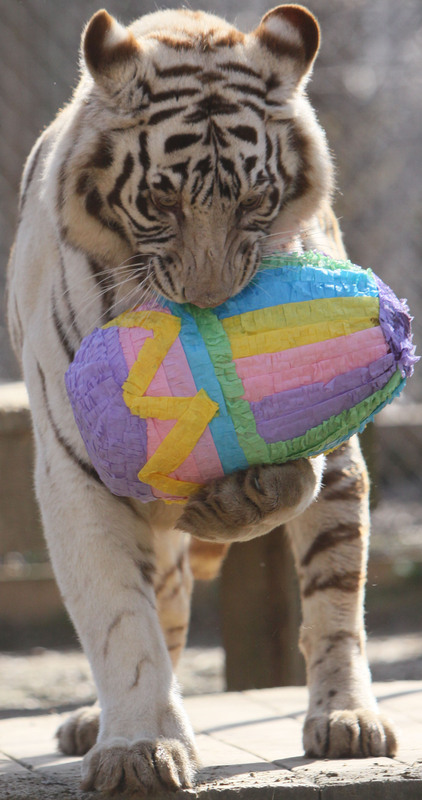 Even big cats enjoy hunting for Easter eggs. And now I am going to get serious for a few moments, but it’s for a good cause. 😀 Easter. Passover. Spring. It’s a time of renewal and new life, new beginnings, and new possibilities. 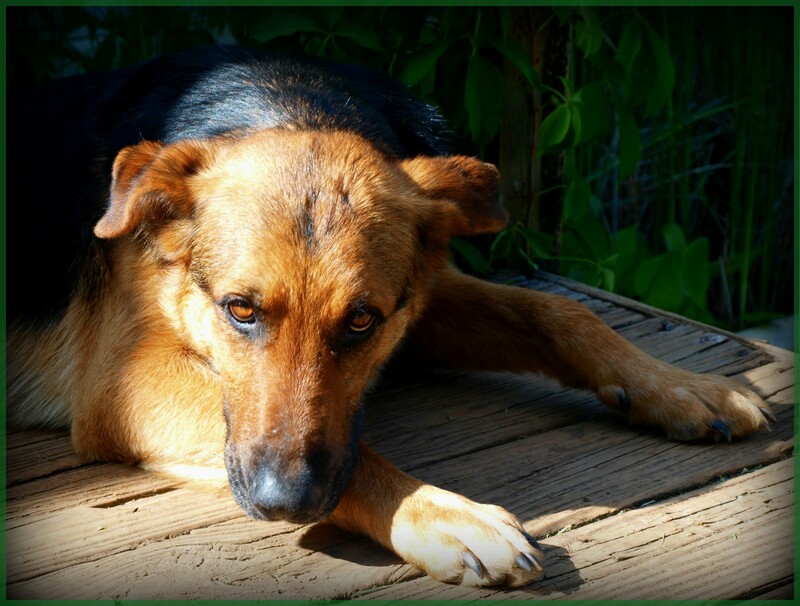 Many homeless animals are looking for a new beginning, too. You don’t have to go to a pet shop to find a great addition to your household. In fact, most of them are supplied by puppy mills, many of which are far more concerned with profit rather than proper care of the puppies and mothers. 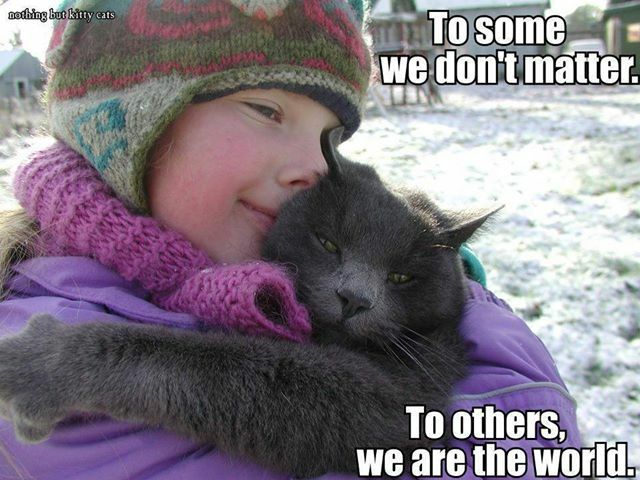 Instead, look to local animal shelters and humane societies to provide that fur-ever friend. Every pet my husband and I have owned–and there’s been quite a few over the space of more than a quarter-century–has either come from an animal welfare organization, taken in as a stray or inherited from a deceased relative. We’ve loved and played and cuddled. We’ve lost and we’ve mourned, but I don’t regret one single adoption. We’ve given them a welcoming home and they’ve given us companionship, friendship, fun and unconditional love. And if you don’t want a rambunctious pup or kitten, consider adopting an adult dog–and keep black dogs and cats in mind. 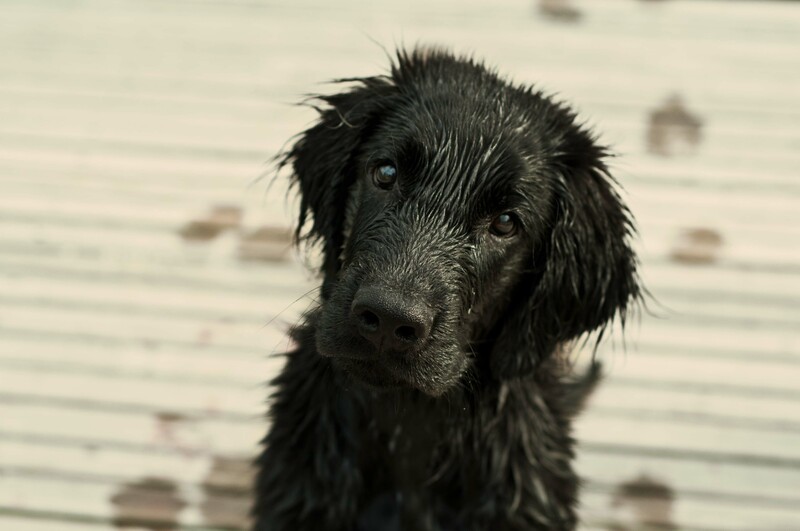 Because of old superstitions, many people avoid adopting pets with dark coats. Even if you are not in a position to adopt an animal, you can always assist with donations of money, pet food, toys, old blankets, towels and other items. Check with your local shelter/humane society for their specific needs. Consider shopping in thrift stores run by humane societies; your bargain purchase will help provide food and medicine for homeless animals. 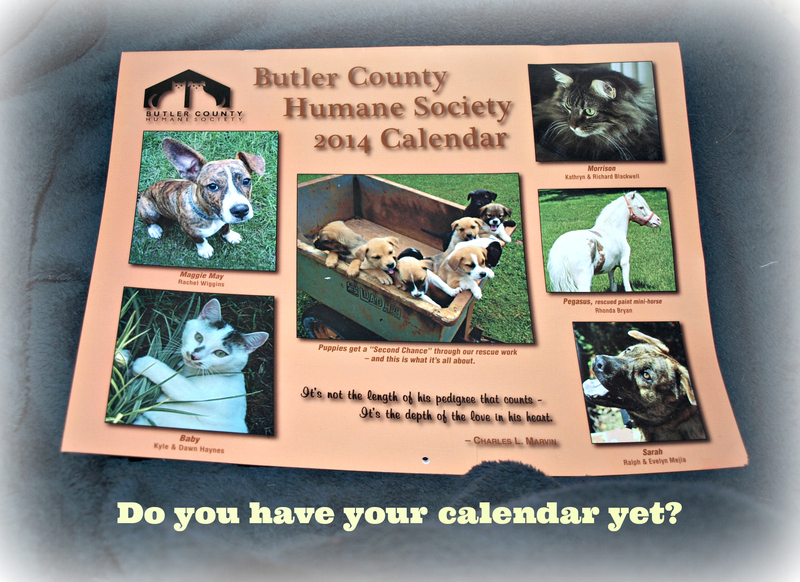 Buy calendars, enter raffles, support the various fundraising activities of these organizations. There is always a need and always a way in which each of us can help. A society that does not care for its most vulnerable–the elderly, the handicapped, children, and animals–has a lot to answer for.